As we all know, password ensure security and confidentiality of the data that you have stored in various workplaces. Some of the details like your bank account number, name, payroll of the employees, grades and marks of the students are more important to be confidential.Thus, it becomes the duty of the user to have their passwords different for every website and also difficult to guess. A weak password or easy-to-guess password can allow the hackers to enter into your system and steal all the valuable information if you have any. They may also sign-in to your email and send any kind of malicious messages to your recipients. Those messages can also be attached with virus. Above all, could you be legally responsible for any damage caused by someone misusing your account? How a password must be? Create a password that is difficult to guess. It must be at least eight characters in length. Use at least three special characters like alphabets, punctuations, mixed case when creating a password. Use the upper and lower cases alternatively like “gooDdAy”. Don’t use previously used password that were already used for any of your accounts or website. Don’t use proper names like Amit, John, etc. Don’t use common character sequence such as “123456”, mar2004. Don’t use your name or spouse name, license number, insurance number and birthdates. But, even though you follow all these points, sometimes the “Password theft” may occur unexpectedly and may loot all your precious information. Thus, in addition to the precautions above, you have to be aware of the apps available nowadays that can protect and prevent your password from stealing. Below is the app named “1Password”which can manage all your passwords and make you feel free from hackers. Even though there are many password manager apps around the web, the best among them is 1Password by AgileBits. This is because this app keeps many websites passwords in memory for your banks and so on, safely locked up. It can also keep track of your important data like passport number, addresses and so on. Moreover, it has attractive user interface with more options and easy to use by anyone. Tapping the “+” icon drops down a menu for storing all the important data like bank account details, wireless router passwords, email details, etc. You can simply select the category and enter the details in the boxes respectively. All your stored data are then listed in the main menu after which you can modify them into separate folders if you do not want to have all details in same category. This app also has an in-built browser which allows you to enter into your bank website in emergency cases during which it automatically enters the password stored with it. It can also enter your credit card details if you do online shopping using that web browser. If you think that your password is too weak then this app may generate strong password on its own which is little difficult to remember. But however, don’t worry, the app remembers the password for you. At last this app is excellent in security since it stores an overall master password for all your passwords stored in the app.This master password secures the passwords inside even if your phone or device gets stolen. It is available free for 30 days trial and you can try it and see. It is available for various platforms and below here is for windows and android. If you visit this website you can learn how to use the 1Password with a detailed tutorial. 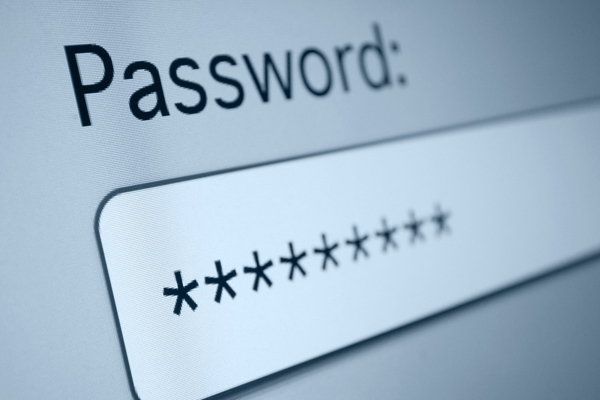 While you create your password, think of a full sentence and form a password with the first letter of each word. For example, the sentence “Forming new password is sometimes difficult” can be formed as “FnPISd”. You can also add few digits to the end which may ensure more security like “FnPISd290”. This way of forming password will really be hard for the hackers to crack it. And finally, if you want to save your password anywhere better write it down without labeling under the category password and keep it safe and personal.